Bicolor flowers with orange and bright reddish-copper petals with creamy orange midribs. Six-pointed star form. Ruffled petals, green throat. Long-blooming. Flower color is better when grown in partial sun. Grows to 24″. Scarlet red petals with yellow to green throat. 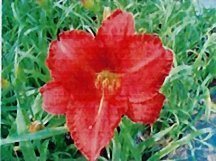 Blooms late July to August with a 5″ bloom, 15″ flower spike, 12″ plant. Rosy pink petals with pale pink midribs and a small yellow band in center. 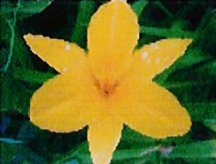 Petals slightly curved with a 4″ bloom, 12″ flower spike, and 10″ plant. 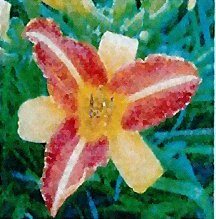 America’s most popular daylily. Easy to grow. Abundant golden yellow flowers appear in early summer. Reblooms until fall. Grows to 18″. A real show stopper. 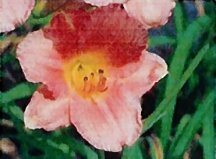 One of the longest blooming daylilies! One of the first to bloom and continues through summer. 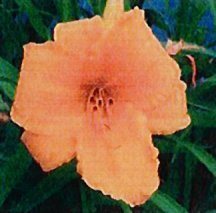 Large, radiant golden-orange flowers and pest resistant foliage. Early bloomer produces beautiful cadmium orange flowers in abundance. Flower stalks are strongly vertical. 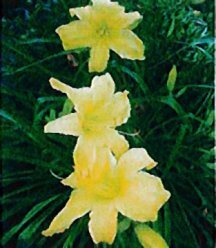 Large, fragrant, reblooming daylily that shimmers in the sun. Near-white petals with a pale yellow watermark and lime green throat. Large, bittersweet orange flowers with burnt orange eye. Very easy to grow. 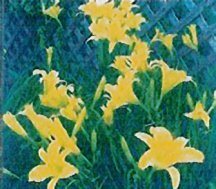 Reliable producer of huge yellow flowers that contract nicely with dark green foliage. Very fragrant. Largest bloom. Grandma’s favorite! 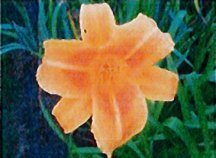 This old-time daylily produces huge quantities of orange flowers which bloom for up to 1.5 months in midsummer. Spreads slowly to form a small colony. Tolerates full sun to partial shade. Could be used for bank stabilization. Absolutely hardy! A cool season bunch grass. Strong, erect growth habit remains upright, even in winter. Attractive seedhead. 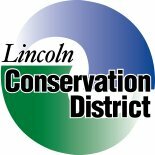 2001 Perennial Plant Association Plant of the Year. Grows 4-5 feet. Old standby variety produces beautiful violet blue flowers which contrast nicely with dark green leaves. Adds a vertical element to yard or garden. Good landscape plant. 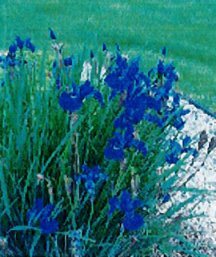 A “never fail” Siberian Iris. 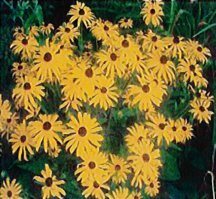 Large, golden-yellow daisy-like flowers with brown-black center. Strong upright growth. Easy to grow. Long bloom season. Attracts butterflies. 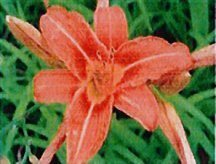 1999 Perennial Plant Association Plant of the Year. Grows 2′ x 2′. Dense spikes of deep violet-purple flowers. 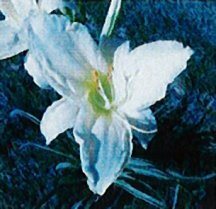 Blooms over a long period which can be extended by dead-heading. Gray-green foliage. Attracts native pollinators. 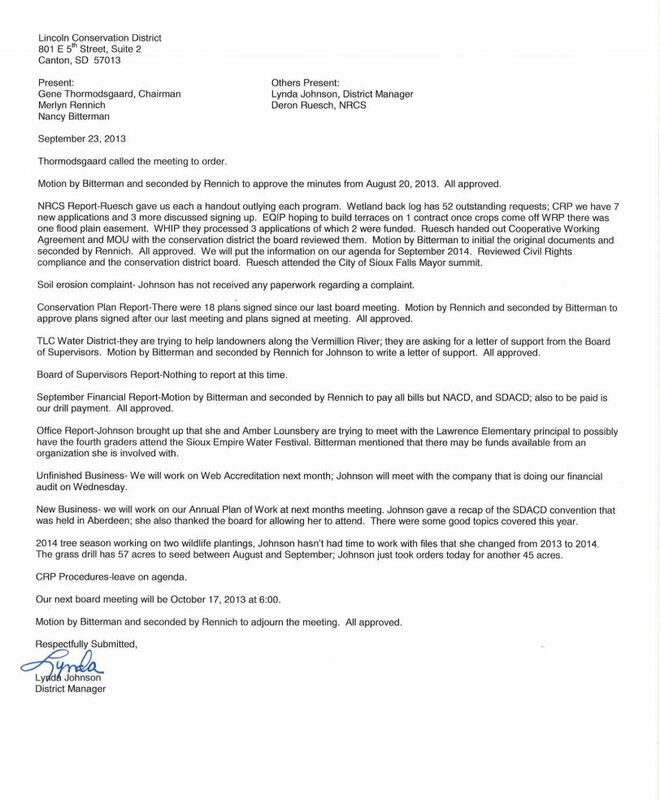 NRCS selection. Introduced from Eurasia. 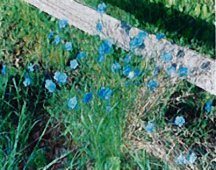 Produces beautiful sky-blue flowers in early summer. 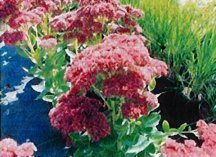 Hardy perennial resists drought and winter cold. Can spread by seed. 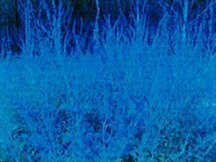 Grows 1-2′ tall. The fuzzy leaves of this species catch the tiny dew droplets that glimmer in the morning sun. Foliage is soft gray-green and nearly round with deep lobes. 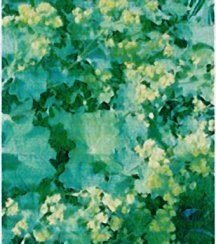 Produces sprays of tiny, yellow-green flowers in spring. Best planted in full shade to partial sun. 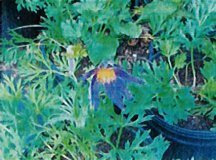 Hybrid, similar to native pasque flower but produces a larger, more deep purple bloom. The plant seems to show hybrid vigor in a larger-sized planter. 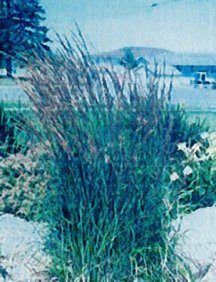 A herbaceous perennial that grows 3′ tall and 3′ wide. Delicate textured foliage is silver, later turning grayish green. 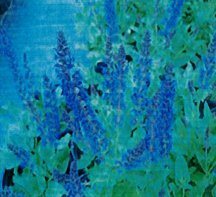 Lavender flower spikes rise above the foliage from early summer to mid-fall. 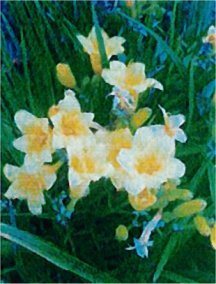 Prefers full sun and dry to average moisture on well-drained soil. Cut back in late winter. Deer resistant and attracts butterflies. Spectacular autumn display of large rosy-salmon flowers. Attracts butterflies and pollinators. Easy to grow and drought tolerant. Seedheads add winter interest. Most popular tall sedum. Grows 2′ tall.